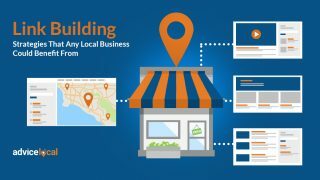 Google My Business (GMB) is a frequent topic here at Advice Local. A fully optimized GMB listing is the key to a brand or business’ success on the web, and the experts at Google have made it even easier to update a listing, post content and interact with customers through the Google My Business app. There are many features to utilize, so we’re taking the opportunity to showcase the GMB app. 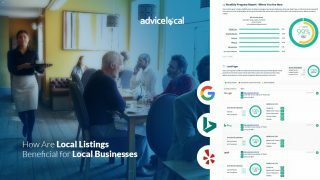 Now that businesses have it at their fingertips to respond to messages, reviews and even put up GMB posts, there’s no excuse to not have the ultimate listing! Let’s get into this Google My Business app how-to. After a user downloads the Google My Business app, they log in to their listing and reach a home screen just like this. At the top of the screen, they can see the business’ name and address. Underneath, the views, searches and actions are displayed. This is data that directly relates to visitor interaction with the listing! Further down the screen, the user will see the latest Google My Business Post, which we’ll delve into later. Scroll down a little further on that same screen, and the listing administrator can even link their multimedia channels. 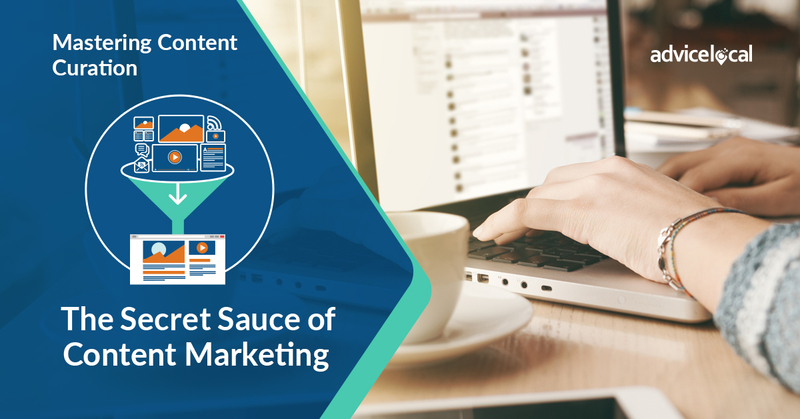 When linked, users can view their new subscriber increase or decrease percentage, the channel’s current number of views, and the total number of minutes watched of the brand’s content. 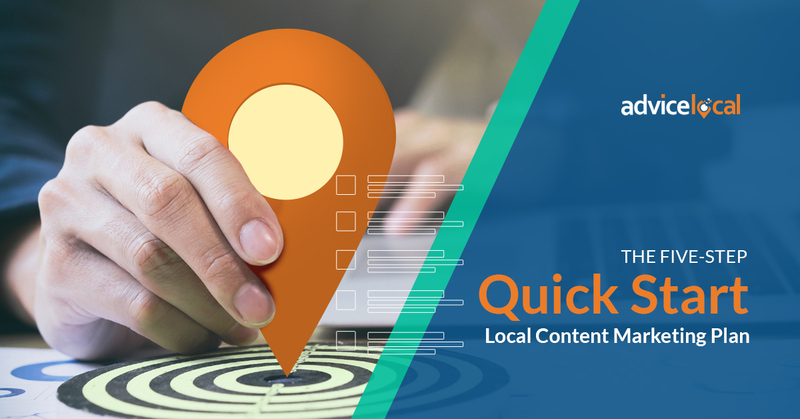 For local businesses, creating new mediums to disperse information is a great strategy for SEO and marketing campaigns. Next, a user will see Google Ads. What does that mean? Well, it’s yet another in-listing platform to promote offers, advertise products and display other forms of content for a brand or business. Google sure knows how to utilize space! 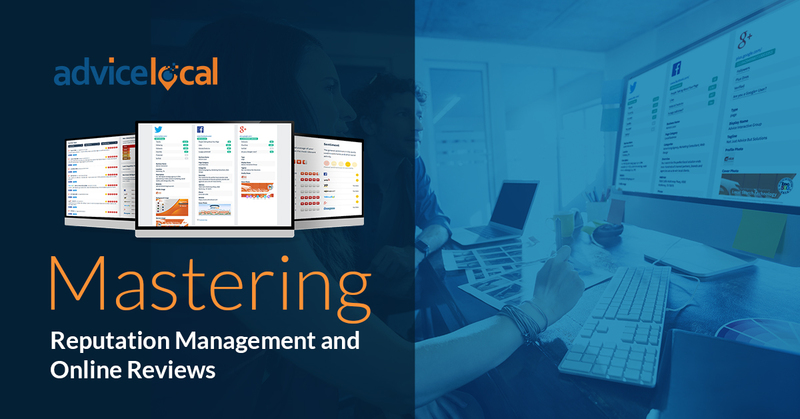 In the Google My Business app, business owners and listing managers have more interactional capability than ever before – in fact, they can reply directly to people who post a review on their GMB listing. 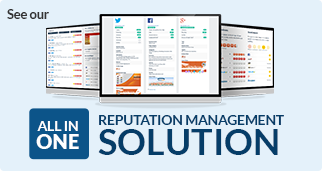 Responding to negative reviews is a must for local businesses; it’s crucial to be timely and ensure the problem is rectified in the best way possible. Stay calm, cool and collected – it’s possible to regain a customer’s business and trust if a brand owns their mistake and actively works to resolve it. This page can be found by tapping on the “Customers” tab at the bottom of the screen. The app also allows for direct messaging from the consumer to the business. The business can respond to a potential customer from their smartphone, which is appreciated on the customer’s end. Ideally, this will make potential customers more inclined to bring their business to a company they feel is conscious of consumers. This is the business’ exact Google My Business listing as it appears live on the web! The app offers the ability to edit this fundamental information – in real-time, from anywhere. Who doesn’t love the 21st century? These are Google Posts! Google Posts provide one of the best ways to capture a consumer’s attention and draw them in; a brand can do more with less! Google Posts are shorter than blogs – there is a 1,500-character limit, which means that the writer has to get to the point quickly! Keep in mind that Google Posts are not intended to be articles, but rather a way to catch a searcher’s eye mid-query. The user has options for the type of content they can share, and posts are typically displayed for a week. If a user chooses to promote an event via Google Posts, the post will remain live until the event date has passed. Google posts are simple – add an image and link, and a post is up! Each post can be written, viewed and edited within the app. 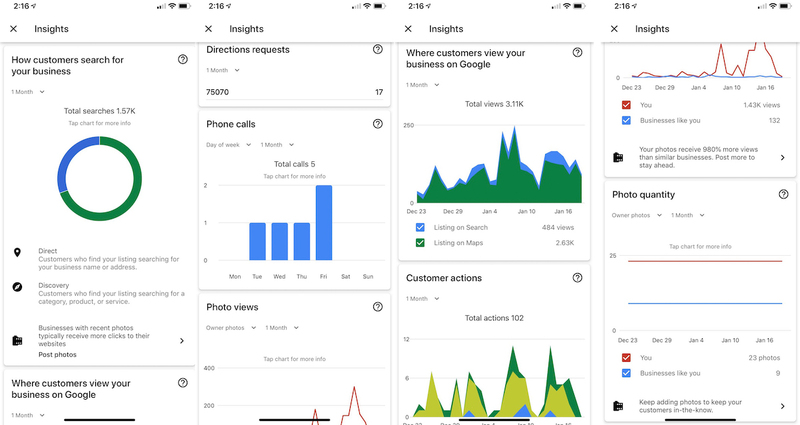 This is a scroll-through of all of the data a business has in the palm of their hand with Google My Business Insights. This information ranges from how people searched for a particular business and found the listing, whether directly or indirectly, to the quantity of photos and the number of views. A user can also see how customers interact with the listing, with data showcasing visits to a linked website, direction requests and more. This is invaluable data! 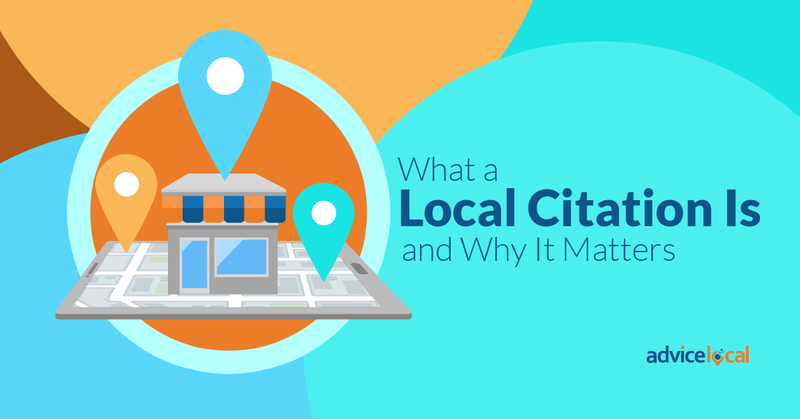 Phone call data can offer insight about what times and days of the week are the most popular for the business, and users can also learn how frequently visitors requested directions to the location in a given amount of time. Businesses that are not leveraging this data to their advantage are only hurting themselves! We have a detailed how-to guide to understand GMB insights. Check it out. Today, we walked you through how to use the Google My Business app. As you can see, it’s user-friendly, free to download and allows businesses to get to know their customers better than ever. 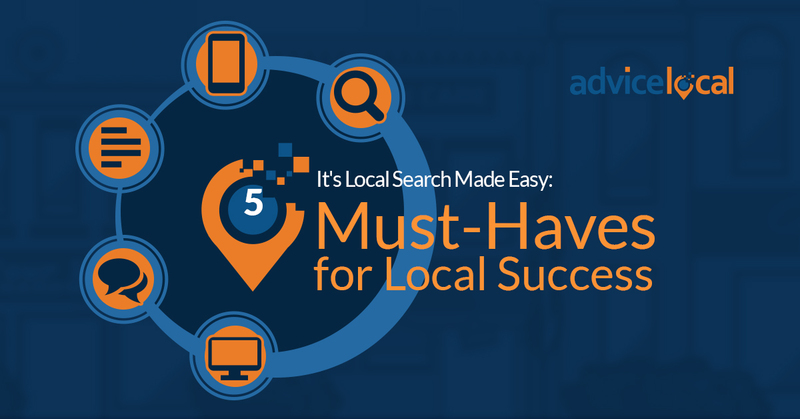 We cover even more Google My Business tips and tools in our free “5 Strategies to Win in Search Results With a Google My Business Listing” handout. Start reading and get optimized with our tips to master GMB! 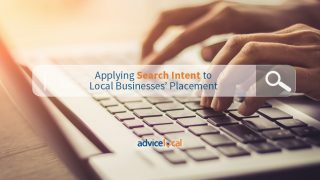 At Advice Local, we’re all about Google My Business – actually, about business listings in general. Our partners love us for this. 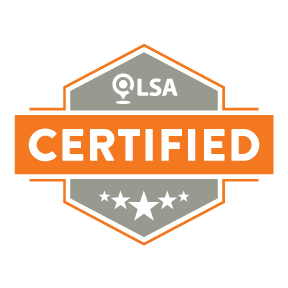 Request a demo today and find out why!